Soooo.. I'm not known for my other then NASCAR stuff.. But about a year ago I got burned out on anything NASCAR and for some reason got on a military kick after watching some builds on YouTube. 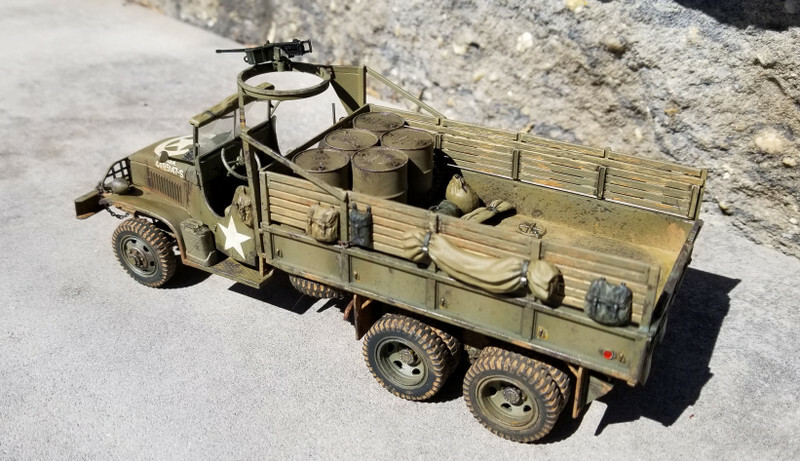 I started out buiding several Abrams tanks, a HumVee, a Tamiya Dragon Wagon, A Sherman tank, an A-10 Warthog, a LAV-AD and this Italeri GMC. I guess I got a little bit of a military bug. Still have it. Anyway, I always like the weathered military builds I'd seen in the past so I though I'd give it a try. 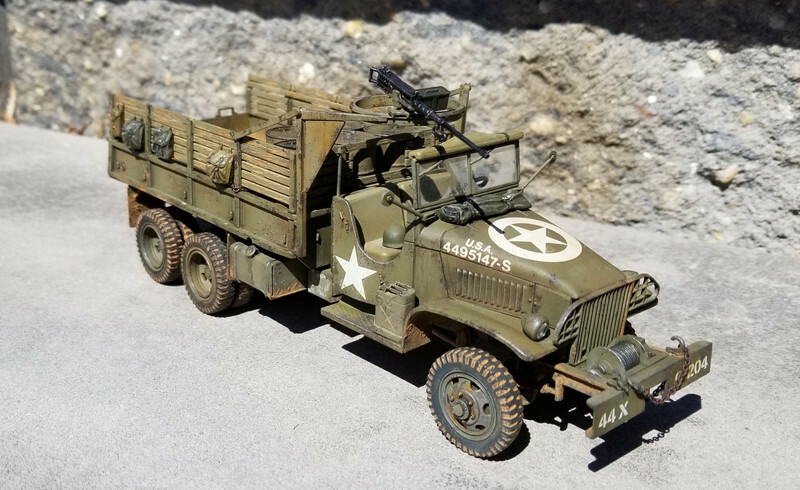 I picked up this kit with a Tamiya WWII accessory kit included for a good price on eBay. I'll post some of the other builds in the future. I will admit to not being a military model guy, but to my untrained eye I would say your race car modeling skills transferred very nicely to the military models. Well done. GREAT JOB on the build and especially the weathering!!!!!!!!!!!!!!!!! Thanks everyone... More military stuff to follow.. Stunning work! It truly looks real! WOW! Great job. You nailed the look. DAMB !!! a lot better than i could do. 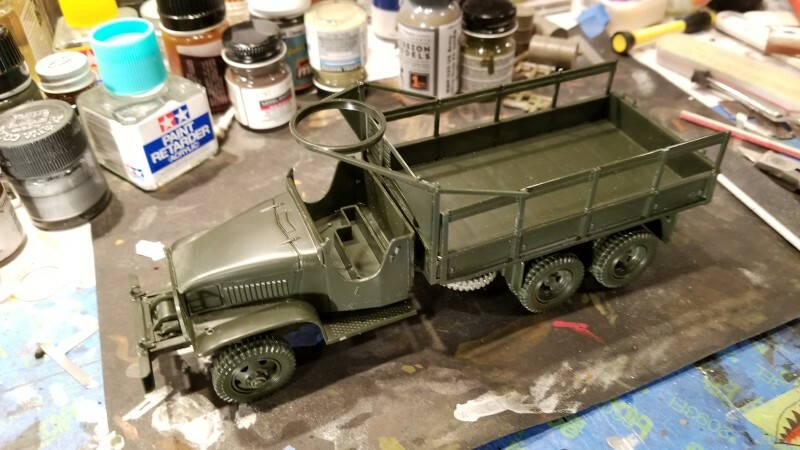 could you do a stickey on your weathering? To be honest I'm new to the "weathering" thing. 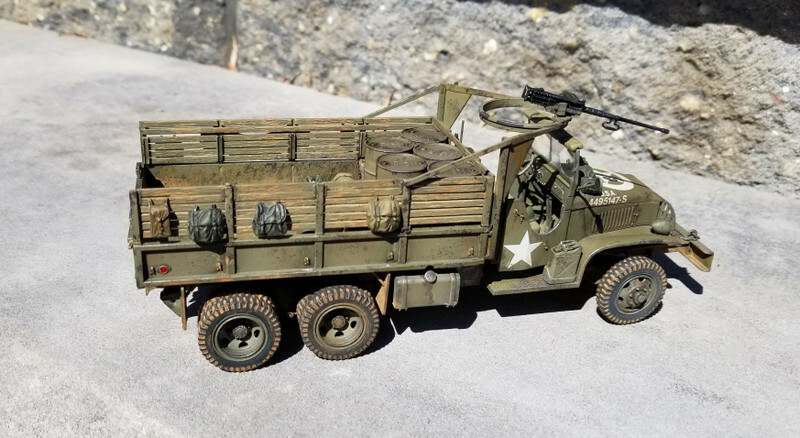 Over the past year or so I've done a few military models because I was burned out on NASCAR and other automotive stuff. I did a few tanks, jets and other military vehicles. 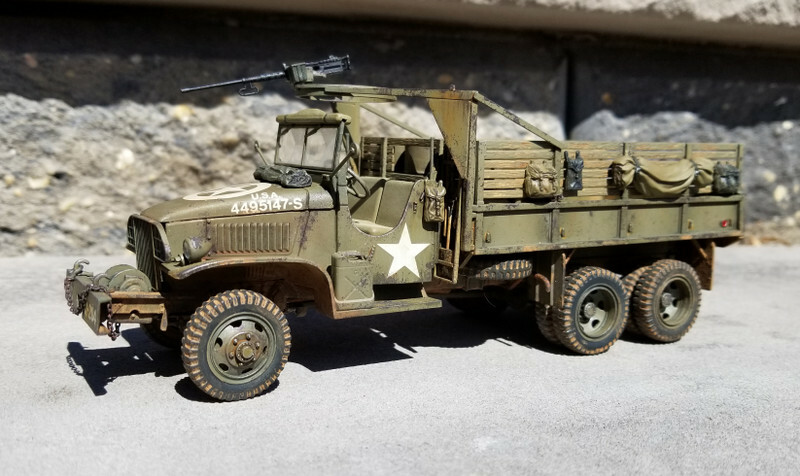 I had never done any weathering prior to these so I used these military builds to learn weathering. 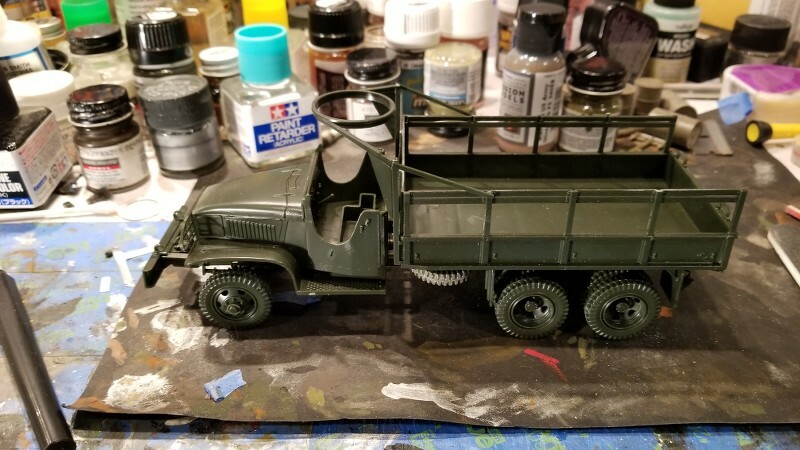 I used washes, oils, chipping, pigments, etc. I basically learned all of the techniques on YouTube believe it or not. There are tons of videos on different types of weathering. I watched them and tried them out with decent results. That is some remarkable work! The whole thing is over the top but the rust blisters along the bottom of the fuel tank is NEXT LEVEL! Looking forward to seeing more for sure. I've fooled around with weathering for years but couldn't come close to these results.